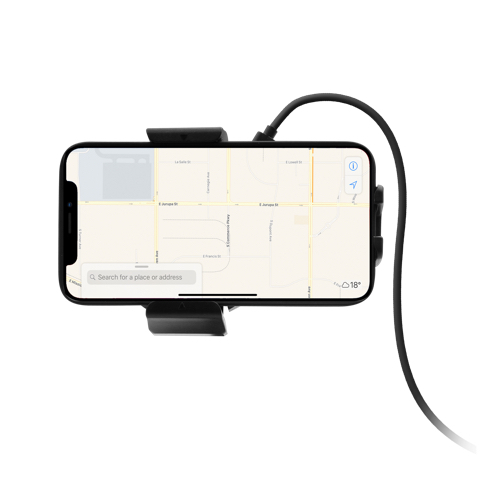 The Macally MVENTQI is a car vent mount holder that allows you to wirelessly charge any Qi enabled smartphone, with or without a protective case*, between 2.1" ~ 4.7"/5,4 ~ 12 cm. 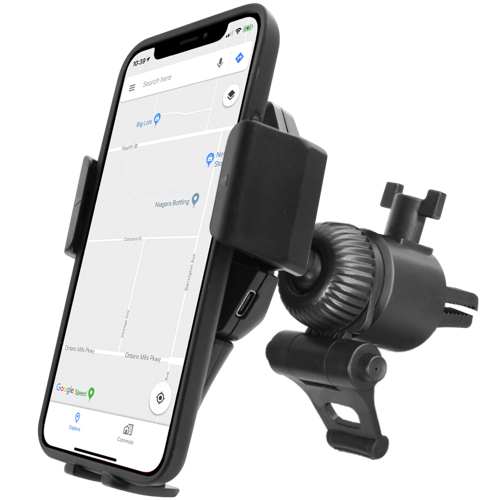 The mount has a patented vent locking mechanism and a 360-degree rotatable holder for the best viewing angle which allows you to do hands-free phone calls and use your smartphone as a navigator without blocking your view. The holder has adjustable grips and foot support to easily align your Qi enabled smartphone with the Qi charging coil position for optimal charging and a secure grip. Optimized for wireless fast charging, it charges up to 40% faster than standard Qi wireless chargers (only applicable to smartphones that are also wireless fast charge enabled). It also has built-in FOD which means that when it detects a foreign object on your Qi enabled smartphone, such as a metal plate, the charging process will promptly stop to prevent overheating and damage to your smartphone. 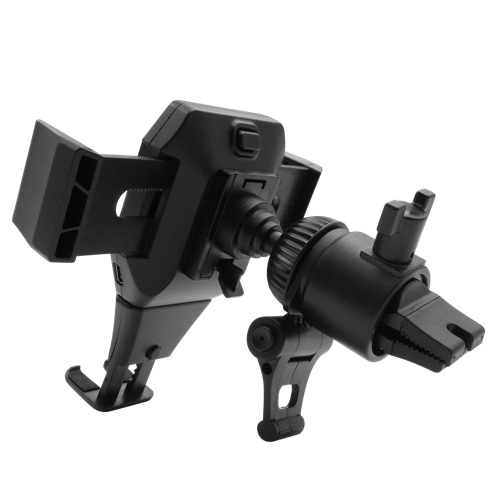 The Macally MVENTQI works with most horizontal and vertical air vents, a built-in USB port or USB car charger and any Qi enabled smartphone between between 2.1"" ~ 4.7""/5,4 ~ 12 cm, like iPhone XS, XR, X, 8 Plus and 8, Samsung Galaxy S9 Plus, S9 and Note 8, Nokia 8 Sirocco, LG G7 ThinQ and V35 ThinQ, Sony Xperia XZ2 and XZ2 Premium, etc. Built in FOD (Foreign Object Detection) to prevent overheating and damage to your Qi enabled device. Product standard: Qi WPC 1.2 / support QC2.0/QC3.0/PD5V.